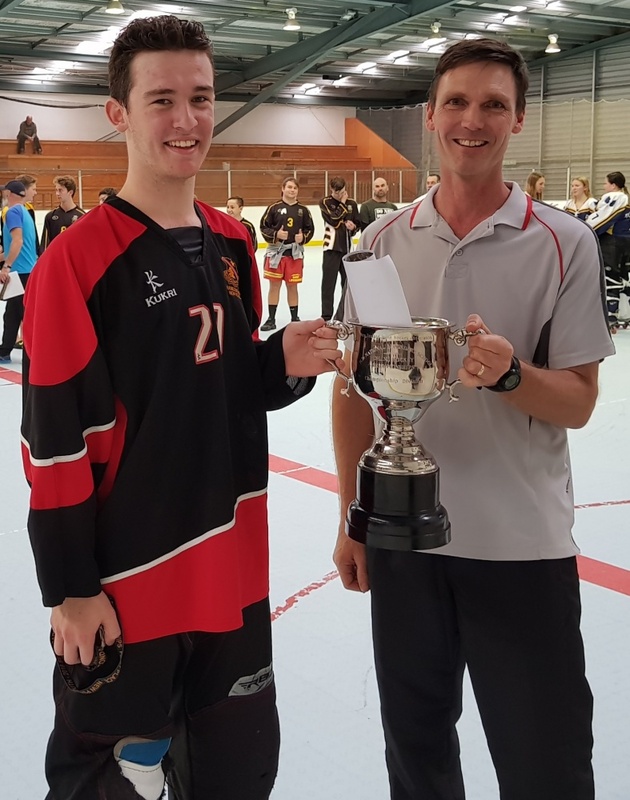 The 15th NZSSS Inline Hockey Championships took centre stage on the weekend of the 19th and 20th of May in New Plymouth attracting seven teams from the North Island including Waihi College, Hillcrest High School, Hamilton Boys High School, Hamilton Girls High School, New Plymouth Boys High School, and combined teams from Horowhenua and Taranaki. 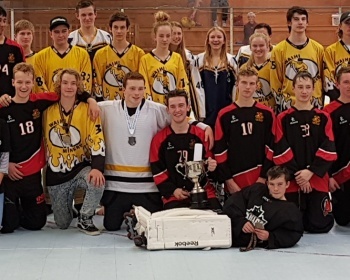 The round robin event culminated on Sunday with the semi and final games. 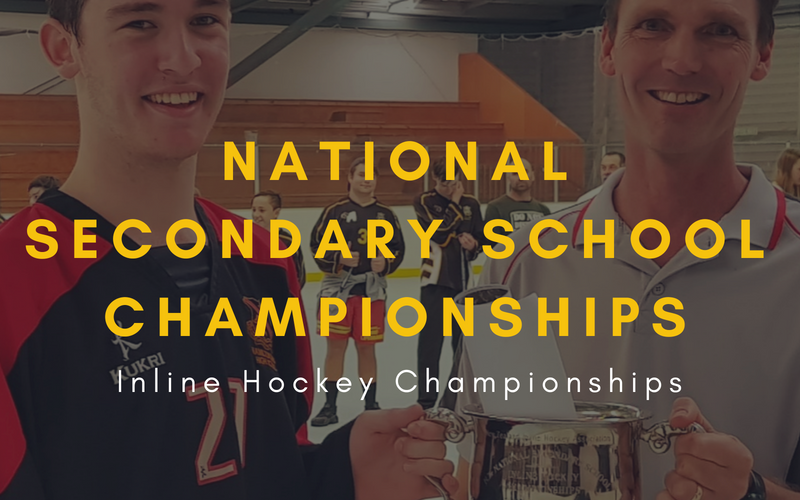 Taranaki Combined took out the combined division, which the Championship Division saw Waihi College, Hamilton Boys High School, Hillcrest High School and New Plymouth Boys High School battling it out in the semi and final matches. 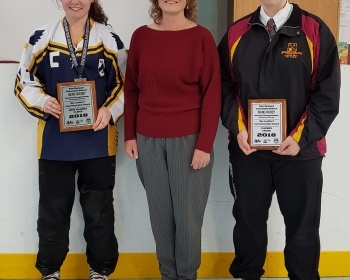 A special tribute to Mr. Ken Lockhart was also made with the presentation of two plaques as a special tribute to mark Ken’s involvement in developing the sport within the New Plymouth High School and also for his support and involvement with the Ravens Club in New Plymouth. 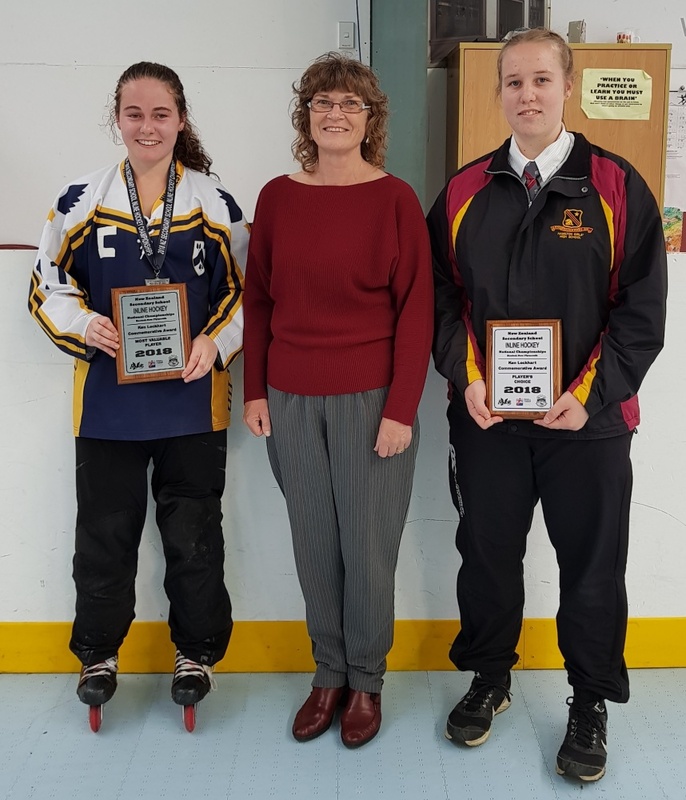 1) the Ken Lockhart Commemorative Award for "People's Choice"
with both awards being presented by Barbara Lockhart. The Club and organisers are indebted to the New Plymouth Ravens club for underwriting the event, providing their facility and event expertise. Tara Potter, Regional Sports Director, Taranaki Secondary Sports Association for providing First Aid backup on Saturday, John Pennington for medical expertise and First Aid on Saturday night, Julia Craig (score bench), Craig Hayward, Willy Harvey, Peter Cayzer, Mike Gilliver, Craig Henson, Alan Henderson for referee duties and the Krutz family for the many hours spent volunteering at the venue. A number of additional club members, Ravens Club Chair and Committee gave their time to ensure the event was a success. Thanks to Peter Cayzer for organising and providing event management during the weekend and for his preparation prior. 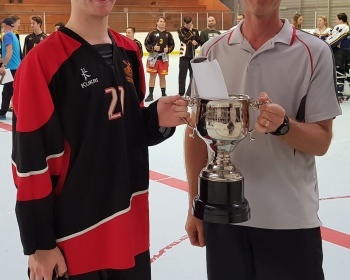 The Club and organisers offer their sincerest thanks to the participants and schools for entering the NZSSS Inline Hockey Championships as well as for their fairplay and friendship.